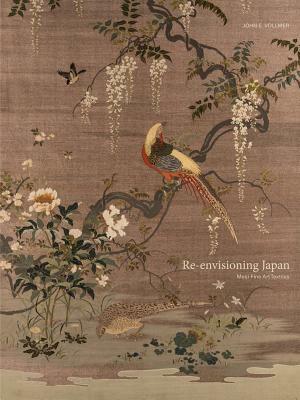 Re-envisioning Japan is the first truly comprehensive book on Japanese export textiles of the Meiji period (1868–1912), featuring stunning examples from all over the country. Lavishly illustrated, the book features fabrics that explore the craftsmanship and remarkable talent of Meiji artists and artisans who produced goods for export markets. The makers of Meiji textiles sought to modernize traditional modes of visual representation, aspiring to create “paintings in silk thread,” at times even replicating specific Western paintings. More often, they collaborated with contemporary Japanese painters to create dazzling new images that more than ever before realized the aesthetic potential of silk thread as an artistic medium. This book showcases these spectacular ornamental textiles in dazzling color reproductions and many close-up details. John E. Vollmer is an internationally renowned curator and scholar in the fields of Asian art, textiles and costumes, decorative arts, and design.